Pathiri is a pancake made of rice flour. It is part of the local cuisine among the Mappilas of North Malabar and Malabar in Kerala State of Southern India. Crushed rice is made into a white dough and baked on pans called oadu.Variants of pathiri include neypathiri (made with ghee), poricha pathiri (fried rather than baked), meen pathiri (stuffed with fish), and irachi pathiri (stuffed with meat). Meen pathiris are steamed pancakes filled with a spicy fish masala but here in my recipe, I have them pan fried. 1) Mix all the powders,lemon juice and salt into a paste. 3) Shallow fry the marinated fish pieces in oil. 4) Remove from flame, remove the bones and break each pieces4-6 portions. Keep them aside. 1) Heat oil in a frying pan, add onions and salt and sauté until it becomes soft and translucent.Add green chillies,ginger, garlic and sauté for few minutes until the onion is cooked very well. Add chilli powder,coriander powder and turmeric powder and sauté for few seconds. 2) Add in the chopped tomatoes, cover and cook till the tomatoes are soft and cooked. Add the grated coconut,garam masala and chopped leaves. 3) Cover and cook for 3-4 minutes until the raw smell of the coconut goes away.Cook for a minute or two. Add the fish pieces, cover and cook on very low flame until all the flavour is infused well for about 5 minutes. 1) Boil two and a half cups of water with salt. 2) Grind the coconut,shallots and cumin seeds together. 3) Sprinkle rice flour to the boiling mixture.Cover and cook till all the water gets absorbed. Stir occasionally. 4) Pour this in a pan, add the ground paste and knead well. 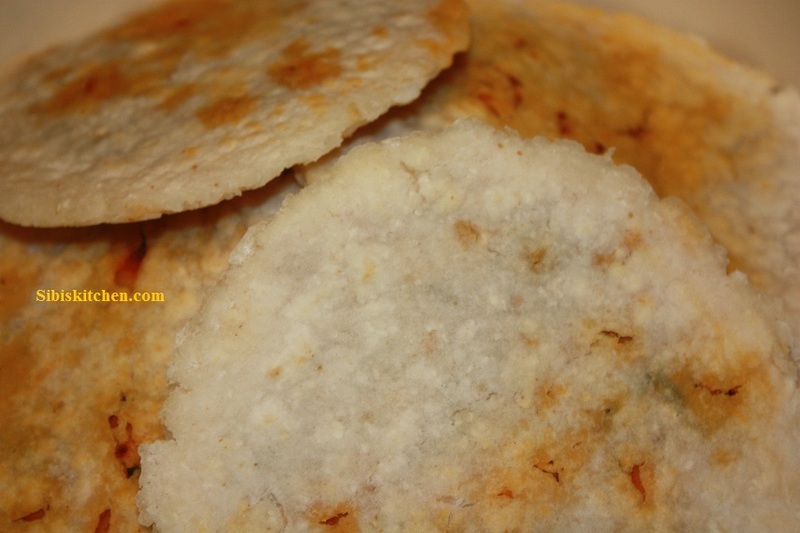 5) Make small balls out of the prepared rice dough and then make small pathiris using a chapathi presser. 6) Place a tablespoon of the fish filling on a pathiri and then cover it with another. Seal the sides. 7) Gently roll the stuffed pathiri and pan fry both sides of each pathiri.